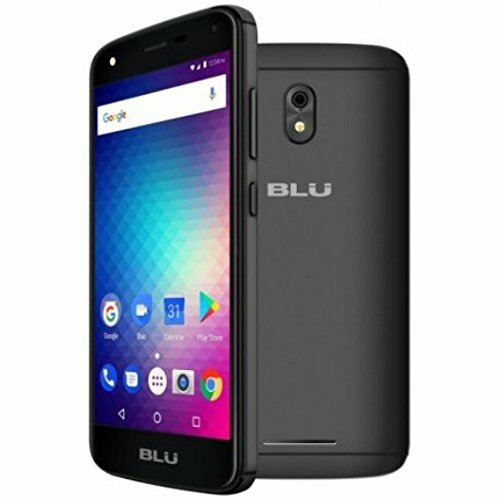 Blu phones had announced the C5 3G smartphone last year, and now the company launched the Blu C5X with 4G network and comes with the slightly higher specifications when compared to its predecessor. Blu C5X price in USA has been set at $74.97 and is now available to buy through Amazon online store in Black color option only. Blu C5X is an entry-level smartphone comes with 1GB of RAM, a 5.0-inch curved display, 5MP rear and 3.2MP front camera with selfie flash. The dual-SIM smartphone runs on Android 7.0 Nougat OS and sports a 5.0-inch IPS LCD curved display. It is powered by a 1.1GHz MediaTek dual-core processor, coupled with Mali-400 GPU and 1GB of RAM. The Blu C5X comes with an inbuilt storage of 8GB, which is expandable via microSD card up to 64GB. The Blu C5X packs a 2000mAh battery that would be last for a one day with moderate usage. In terms of connectivity, the smartphone provides options like 4G, 3G, WLAN 802.11b/g/n, Bluetooth 4.0, FM Radio, USB, and 3.5mm headphone jack. Back in May, Blu had unveiled the Vivo One Plus smartphone and the main highlight of the device is a 6.0-inch FullView 18:9 HD+ display with Corning Gorilla Glass protection, 13MP rear and 13MP Selfie camera with Flash.